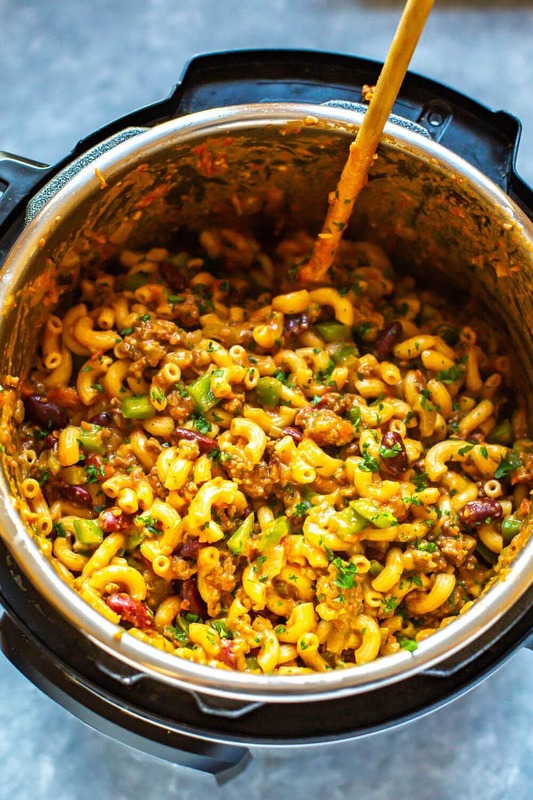 This Instant Pot Chili Mac and Cheese is a delicious, cheesy one pot pasta recipe and the ultimate comfort food that's filled with hearty flavours! Add olive oil to Instant Pot and select saute mode. Saute ground beef for 4-5 minutes until lightly browned. Turn off saute mode and add onion, celery, garlic, chili powder, cumin, salt & pepper, kidney beans, diced tomatoes, broth and pasta in that order. Cook on high pressure for 4 minutes then do a quick release of pressure. Remove lid and stir in green pepper and 1 cup of cheese. Serve in large bowls and top each serving with remaining cheese and garnish with fresh parsley if desired. Serve and enjoy!